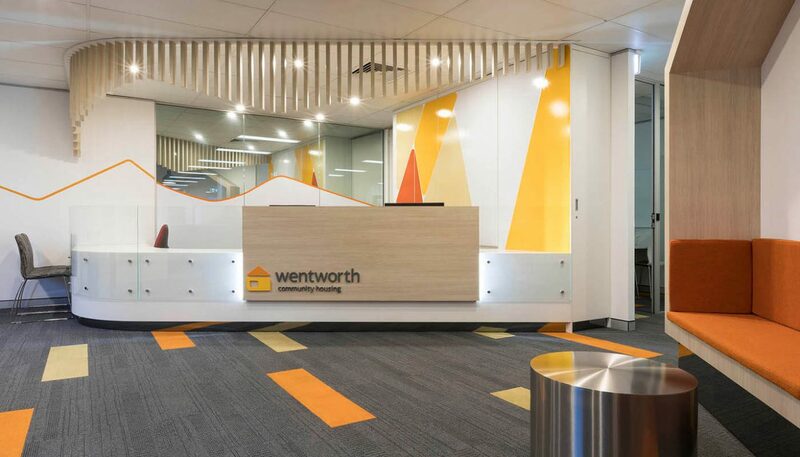 Wentworth Community Housing are a not-for-profit company that provides housing assistance to those on low to moderate incomes. 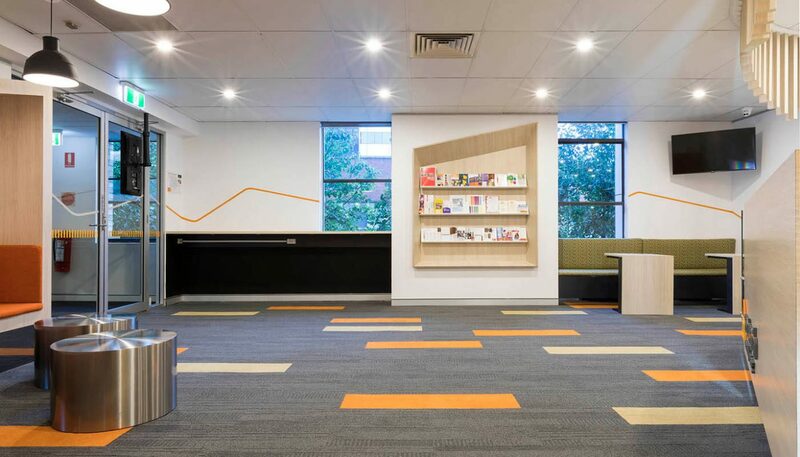 They expand-ed their offices into a neighbouring suite and upgraded the current reception & meeting zones. 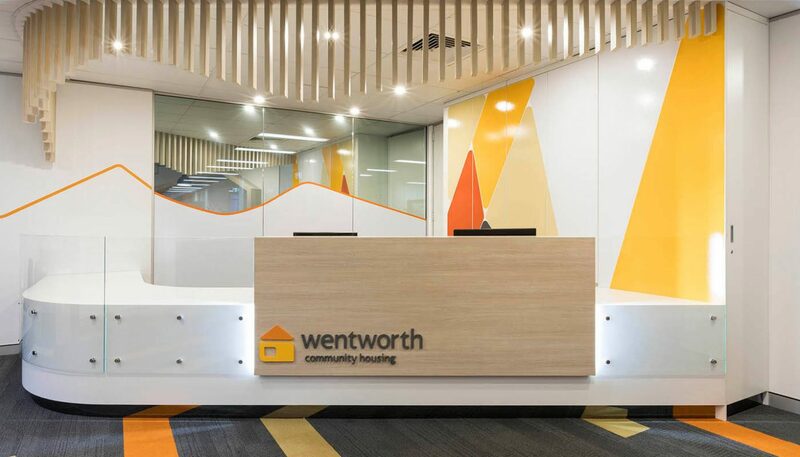 The entry zone features bespoke joinery for the reception desk, house-shaped waiting seat and client interface points. 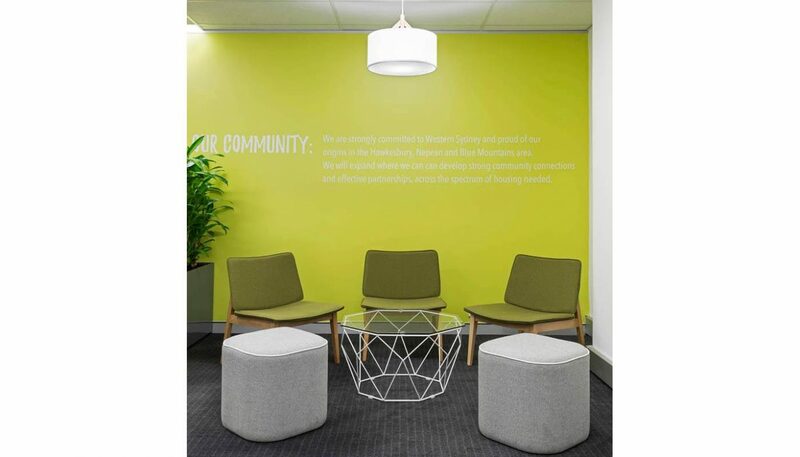 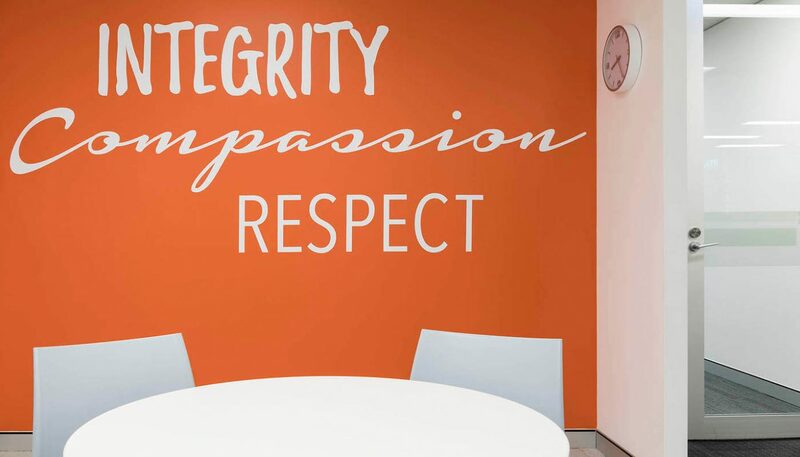 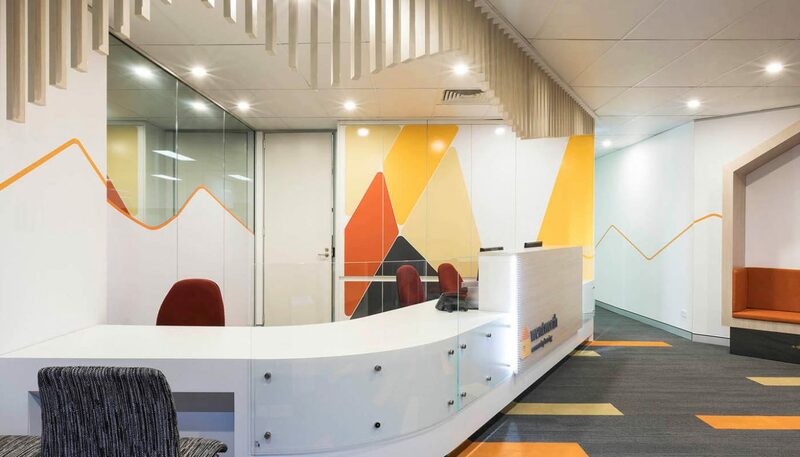 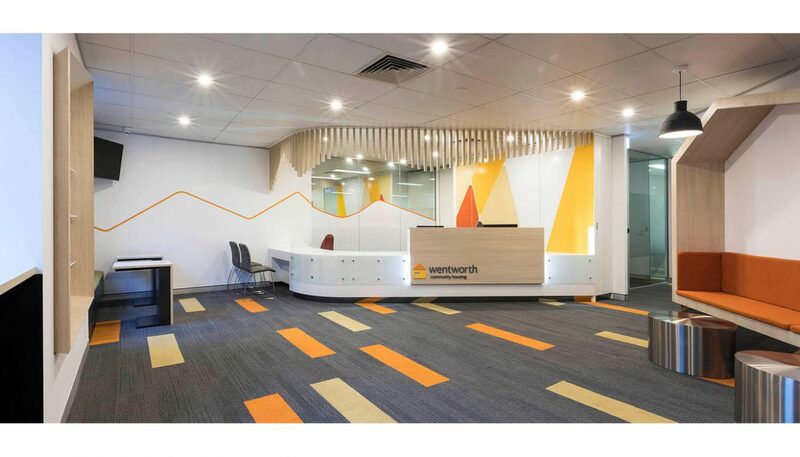 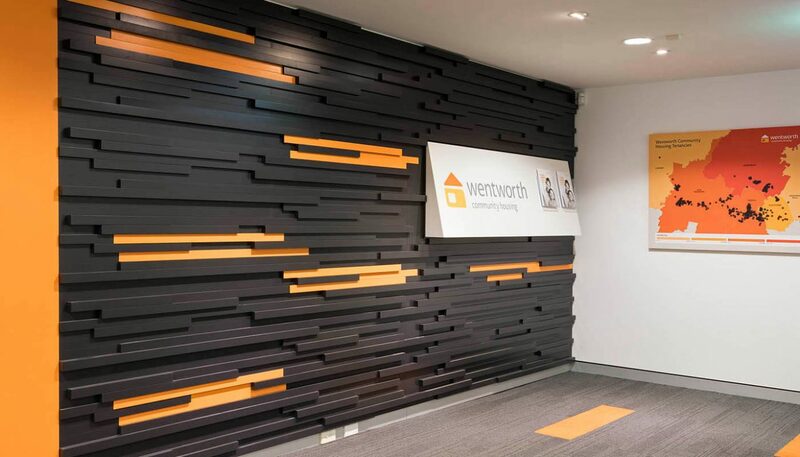 The striking use of colour in the carpet, furnishings and graphics reflect the warmth of this community based workplace. 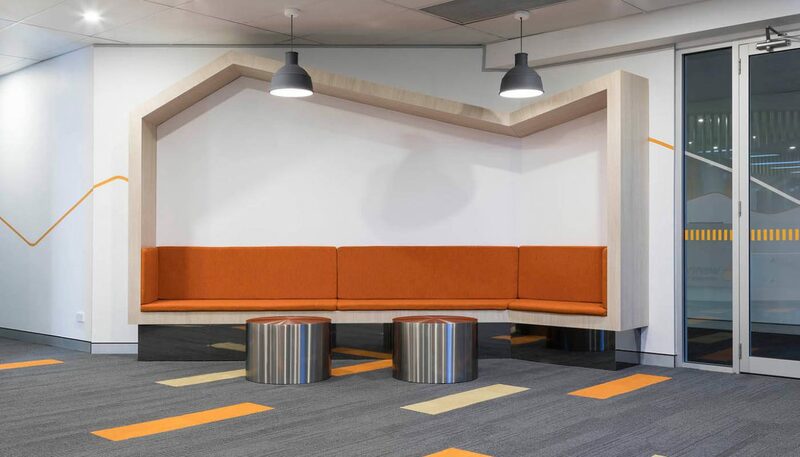 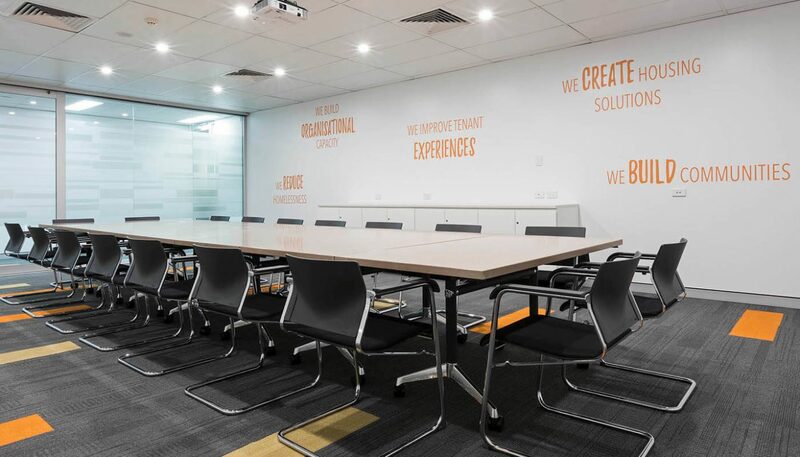 Certain elements are utilised throughout the fit out, for instance the angled line which is replicated in the various client meeting rooms, creating somewhat of a directional pathway..